It’s been while since I have posted something from the book (I Thought I Knew What Love Was) and thought today this one is a good follow-up to the last post Chosen. God has so many good things to say about His children. 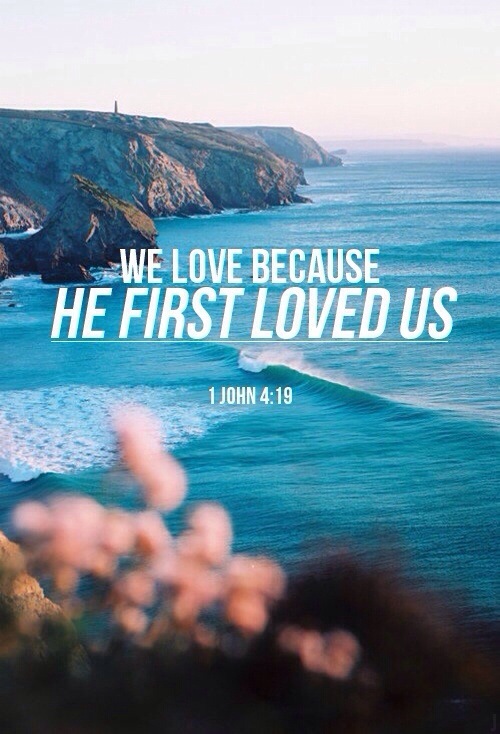 He loves us with an everlasting love. It is a love that cannot be earned or lost. We must refuse His love. We must refuse to believe His love. This poem was written in 2008. So many challenging things were happening in my life at the time. My quiet times with God often led to me writing down what He was speaking to my spirit. Do You Know Who You Are? 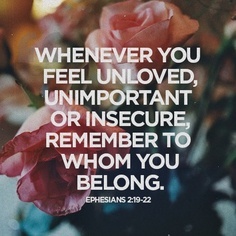 was a sweet reminder from Him of my secure identity in Him. Our identity in Him is so important. Once we fully believe who we are in Him and how much we mean to Him-fear, pride, insecurity, and the temptations of this world lose their weight. I hope this post blesses your soul. Don’t forget who you are! A beloved child of the King of the Universe. or the labels given to you by man? you would no longer bow your head in shame. You would understand that for all your sins I stood in your place. is not where you are going. or what you will do. I have placed My name on you. and I long to always reside with you. waiting enthusiastically until you awaken. and shower you with My love. My love is constant, steadfast, and as enduring as the sun. You are clothed in My righteousness. You cannot earn My redemption. It is freely given by your faith and obedience. or what you fail to do. What I accomplished on the cross is finished. and your access granted to the most sacred of all. Your slate is wiped completely clean. so you no longer have to feel guilt or shame. knowing that I wanted you. what I have for you is beyond your wildest imaginings. I long to give you more of Me. I know that My love can satisfy even your most profound needs. and smiled on who I had made. I am shaping and molding you into the person I created you to be. I want the world to get a glimpse of My glory. I am the One who created everything. There is not one who can rank above Me. which leads you closer to Me. and I have called you, My child. and most of all, I call you redeemed. a story uniquely written for you. into something that is living and breathing. Won’t you surrender your identity to Me? Trust that I am the One who will make you complete. You are not to be compared to any other human being. and I have placed on you My fingerprints. and there is no one exactly like you. I am the One who designed you. and your life is not in vain. You are My image bearer. Do you understand the authority you have been given, in My name? You were created to be about My business. You were created to reach out to the least, the last, and the lost. it was purchased with My blood. I took the nails for you. but freely can receive My grace. you are set apart to bear the image of the King. and I know you personally. Each breath you take is sweet music to My ears. It is the sound of the breath I Myself have placed there. I made you for a reason. in reflecting My creativity, and My love. or a blip on the screen of life. I knew you before the foundations of the earth. and I will always know your name. and your time is written on My hands. even with the things you don’t understand. I am the God of all creation. and I delight in all that I have made. and I will love you, always. You can purchase right here on the site there’s a link entitled Get Your Copy or you may purchase through these wonderful sites: http://www.westbowpress.com, http://www.barnesandnoble.com. and http://www.amazon.com or iTunes store. Before the foundations of the earth were laid…God knew and chose you to be the object of His affection. God knew you before your grandparents were ever born. He knew who He wanted you to be, what He wanted you to look like, and the gifts He wanted to give you. You’re not alive by accident. You have a divine destiny! You were born because God wanted you. You have always been wanted and chosen. No one can change the approval or love God has for you! Nothing can separate you from His love. There’s nothing you can do to make Him love you more. Nothing you can do to make Him love you less. You are accepted in the Beloved! God didn’t need us; He wanted us! May your week be saturated with the love of God. There’s no greater love in all the world. You’re in my heart and prayers. Since we have now been justified by his blood, how much more shall we be saved from God’s wrath through him! For if, while we were God’s enemies, we were reconciled to him through the death of his Son, how much more, having been reconciled, shall we be saved through his life! Not only is this so, but we also boast in God through our Lord Jesus Christ, through whom we have now received reconciliation,~Romans 5:6-11. I read a quote that has been imbedded in my memory. It says, “Sin has a high price tag. Either we will pay for our sins or we accept Jesus and receive His appropriation for our sins.” The Bible is very clear that all have sinned (except Jesus) and have fallen short of God’s glory (Romans 3:23). We are powerless to save ourselves, hence the need for a Savior. What is sin? It’s not just murder, adultery, refusing to love, selfishness, jealousy, bigotry, racism, abuse, lying, dishonoring people, or hatred. Sin is anything not birthed from faith (Romans 14:23). As humans we are not born loving God nor are we filled with faith. We are born selfish, carnal, and thanks to Adam/Eve with a sin nature in tact. Our passions are not Godly. God knew we’d mess up and made the appropriation for our mess ups. Jesus went to the cross for sinful, wicked, and messed up people; you and me! People want to envision God slashing people and delighting in throwing them into hell with a grin on His face. God hates sin. God is opposed to sin. He’s holy, there’s no sin in Him. Sin cannot dwell in Him. He’s also a God of justice. Love without justice is not love at all. Those who refuse His solution for sin will end up eternally separated from Him. This truth should lead us to pray people are reconciled to God and free of sin, not to look down our noses or condemn others. 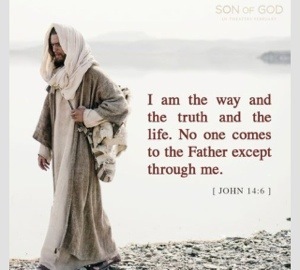 If He had not pursued us, we’d all be lost. So, we can be discouraged by our depravity or we can be encouraged by the love of God. The love that stepped into sinful humanity and laid down His life in a brutal death so we could be free. Dear friends, let’s never forget what God did for us. 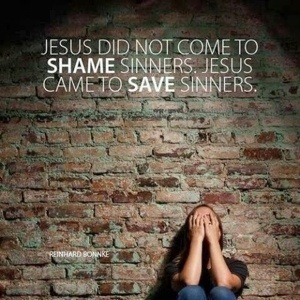 Let’s not try to convince the world of their sin without introducing them to a Savior. May we recognize our own depravity and seek God for the purification of our heart and motives. Jesus paid the penalty for all sin. He paid it in full! We are saved because of what He did. It is finished. God bless you! May you share the Gospel with love in your hearts. Our God is mighty to save.